From the TRON movies you have one of the items that a lot people would want to have in real life, the Light Cycle. 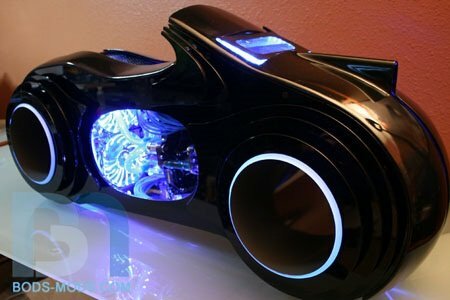 What if you had a PC that was a Light Cycle and you could use it to go into battle in all of your favorite PC games? Check ut out at ModdersInc.